Many homeowners see fall as the year’s last chance to fix that leaky roof, resurface the driveway, restain the deck, clean the chimney, and tidy the yard. But while all your last-minute chores probably won’t break your back, they could break the bank if you try to buy all the tools you will need to get the jobs done. For many homeowners with realistic home improvement budgets and limited tool storage space, renting from Rentalex located in Tampa Florida is the answer. Cheaper than buying, renting tools allows homeowners to put their home improvement dollars towards materials, rather than equipment. Deck Maintenance – Fall is a great time to re-stain the deck, and repair any damaged wood. If you are removing and replacing damaged wood, you’ll need a variety of hand and power tools such as power saws and a nail gun. To stain or seal the deck, you can rent power sprayers to make the job fast and easy. Roof and Window Repairs – Keeping your windows and roof in good shape can help reduce future costs. Scaffolding can help you reach both and is often a safer, more stable work space than a ladder. Rentalex staff can help you determine the tools you will need to repair the roof or damage around windows. Clean Up the Backyard – Clear brush, sod or seed bare spots in the lawn, remove leaves and store summer gardening tools. 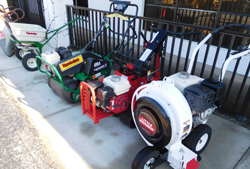 Rentalex rents hedge trimmers, lawn mowers, sod cutters, leaf blowers, yard vacuums, chainsaws, and stump grinders. 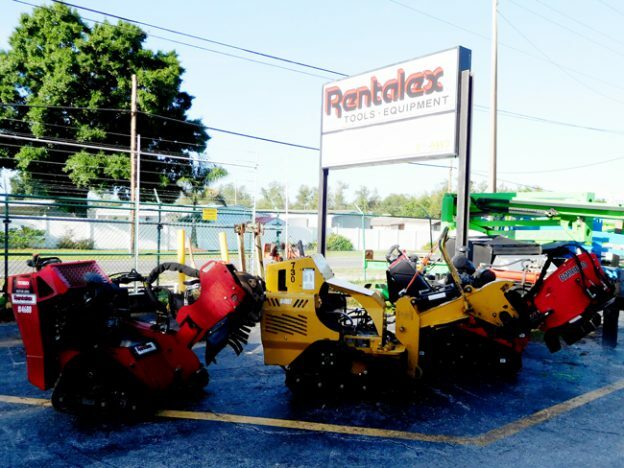 To learn more about tools and equipment available for rent at Rentalex, visit us at 1028 Skipper Road in Tampa, Florida 33613 or call one of our rental experts at (813)971-9990.